Diversified Communications UK, previously known as Expo Management, is part of a rapidly growing trade exhibition and media group, headquartered in the USA. Its events team in Leamington Spa provides a complete package of sales, marketing and operations support, from concept development, through onsite management and conference production to post show analysis and evaluation. Its publishing division in Peterborough produces a range of market-leading trade magazines in both printed and online formats. Thanks to 25 years of dedication and hard work, Diversified Communications UK is now the go-to organisation for bus and coach industry news, comment and analysis, opinion and innovation. Publishing Director, Tony Henthorn, comments: “We’ve worked extremely hard to reach this position, where we are the trusted source of easily accessible information and organisers of the key industry events of the year. “To maintain our pre-eminent position, we can’t afford to rest on our laurels. We have to keep setting the pace, constantly innovate and refresh our products and services in such a way that people in our industry can access the information they need in whatever format suits them best. “For some that means online and through social media interaction. Others prefer a weekly printed magazine and face-to-face contact at an event or exhibition. We pride ourselves on providing a wide range of platforms that give our customers choice.” But recently Tony and his colleagues were faced with a number of IT and telephony hurdles as they planned the next phase of their growth, hurdles that Tony knew had to be removed. “We operate from two offices in Leamington Spa and Peterborough – but our legacy systems meant that they were effectively operating as two separate businesses. We needed a system that would properly connect our locations and our people, enabling them to share and collaborate,” explains Tony. “Due to very poor broadband our Exchange email server was struggling to send large media files backwards and forwards to advertisers. It was clogging up the system to the extent that it turned simple desk-based tasks like sending a short email into a horrible waste of time. It was a killer. Tony was introduced to Fusion Mobile,a Birmingham-based Vodafone Gold Partner. Fusion quickly identified that Vodafone One Net Business was the perfect platform on which to build a future proof solution for Diversified UK. 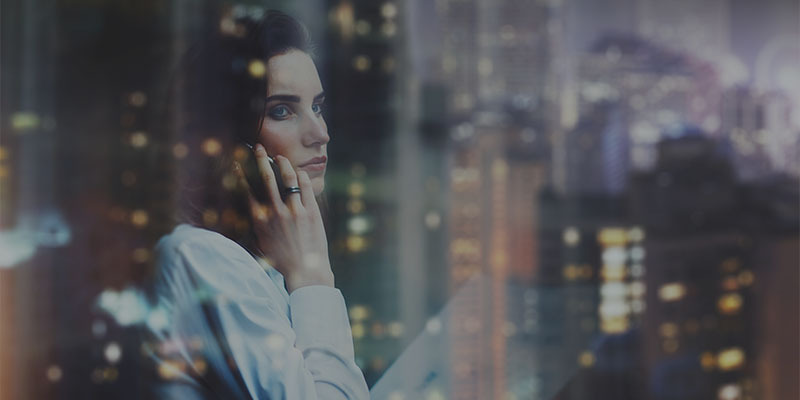 Vodafone One Net Business is a cloud-based communication service delivering fixed phone and mobile communication, via Vodafone’s secure, dependable, fully-hosted IP based network. Diversified UK also added Microsoft Office 365, combining the latest Office software and communication tools bringing familiar applications to all devices from smartphones to PCs. “Fusion quickly became part of our company and just made it happen for us. 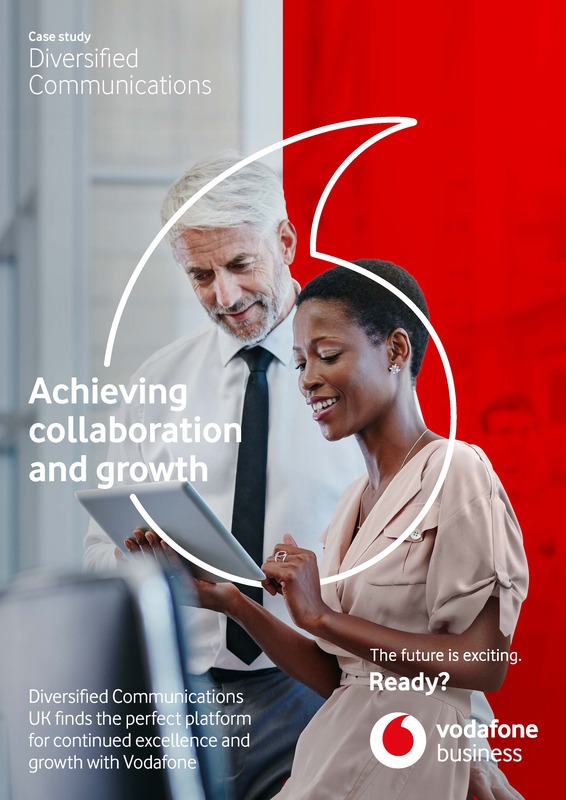 I was completely convinced that Vodafone One Net Business and Office 365 combined was going to be the way forward for us and this is how it has turned out,” says Tony. All existing landline numbers and mobile numbers were ported onto the Vodafone network and all users received brand new desk phones and smartphones. Moving to Vodafone One Net Business instantly joined up remote and office-based users with a brand new dial plan which meant all landline and mobile users could internally extension dial each other. Users who had a desk phone and mobile now have one centralised voicemail providing a notification on both devices ensuring that important calls aren’t missed. All call routing and user functions can be controlled via the One Net feature management portal, which also provides complete disaster recovery. Microsoft Lync was introduced for instant messaging, screen sharing, presenting and presence, helping to improve communication and speed up responses between employees. Microsoft SharePoint provided an improved company intranet and a place to centrally store files and documents for secure access across sites and remotely over PC laptops, smartphones and tablets with an internet connection. “Fusion made sure all our emails and data were properly integrated and fully functioning. This was really important given that we have a real cross section amongst our employees, some who are really enthusiastic adopters and others who need more help and time. “This has made a massive impact on our business – it’s only early days and there is much more that we can do with it. It’s given us a competitive edge in a crowded marketplace. Our people have far superior tools to do their job, they look slick, professional and flexible in front of our customers. “We don’t need to carry hard copy versions to demonstrate what we can do for customers and we can sign people up to our email marketing database instantly on our mobiles. We can instantly access websites, interactive media packs, documents, presentations and answer any questions on the spot. That’s impressive in meetings and has improved our ability to secure bookings, sponsorships and advertising packages. We look like the industry experts we are striving to be. Cloud-based infrastructure, the latest software and devices and market-leading connectivity have provided a flexible, dynamic and cost-effective platform for further growth and innovation. Diversified UK’s two offices and its remote teams are now fully connected and able to work much more productively and collaboratively. Substantial improvements have been achieved with a new and comprehensive IT and telephony solution that has been cost neutral to implement.